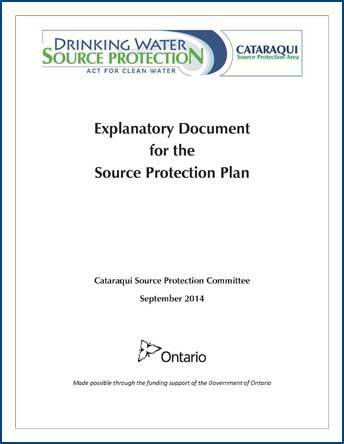 The Cataraqui Source Protection Plan (the Plan) is a locally developed plan of action to keep sources of drinking water clean and plentiful. The Plan was approved by the Minister of the Environment and Climate Change on November 26, 2014 and it has been in effect since April 1, 2015. Implementation of the Plan is being carried out cooperatively amongst implementing bodies, including municipalities, local health units, provincial ministries, the Cataraqui Region Conservation Authority, businesses and others. These maps are posted individually because of file size. 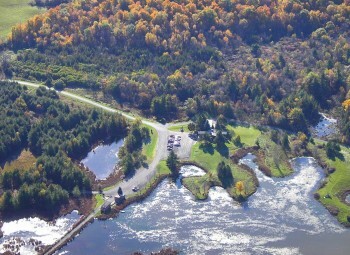 The Explanatory Document provides the public and stakeholders with information that influenced the policy decisions made by the Source Protection Committee during the development of the Cataraqui Source Protection Committee. To view a printed copy of the Cataraqui Source Protection Plan and/or the Explanatory Document, please call the Cataraqui Region Conservation Authority Administration Office at 1641 Perth Road, Glenburnie (Kingston) from 8:30 a.m. to 4:30 p.m. from Monday to Friday. A copy will be made available for you to view.